While New York Comic Con is happening in NYC, new photos are being leaked from CoroCoro Magazine in Japan and they show some truly awesome stuff. Like what you ask? 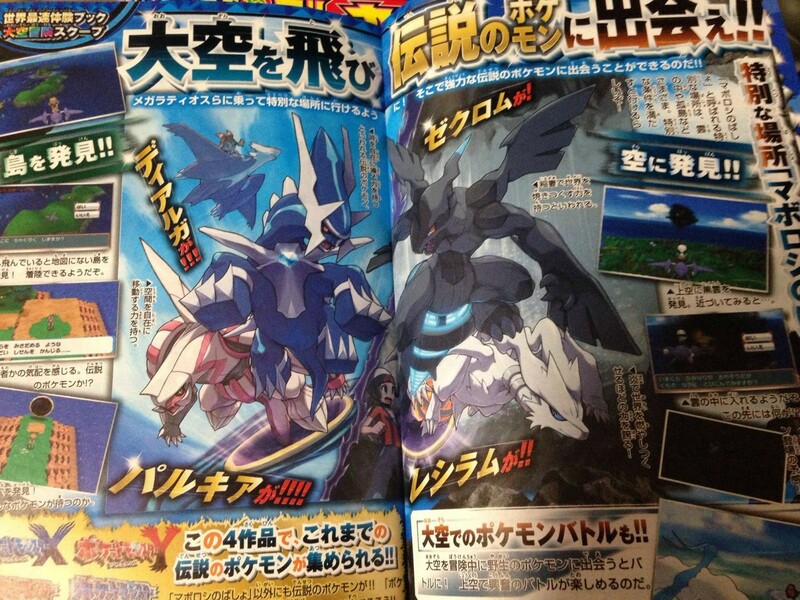 Oh, just some new Mega forms for Generation I favorites as well as an entirely new mechanic to Pokemon games that will make post game so enjoyable. So let’s get to it! Some Mega’s meet our expectations; others end up really weird. 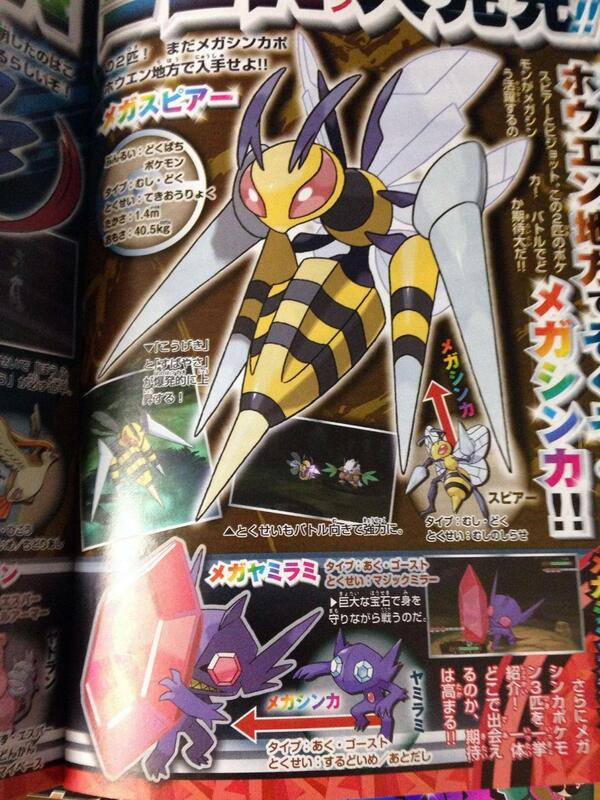 Mega Beedrill belongs to the first category. With it’s added stingers and more streamlined form, it’s clear to see that its Attack and Speed will get a substantial boost. Additionally, it will gain the ability Adaptability, which will increase its STAB to x2 rather than x1.5. 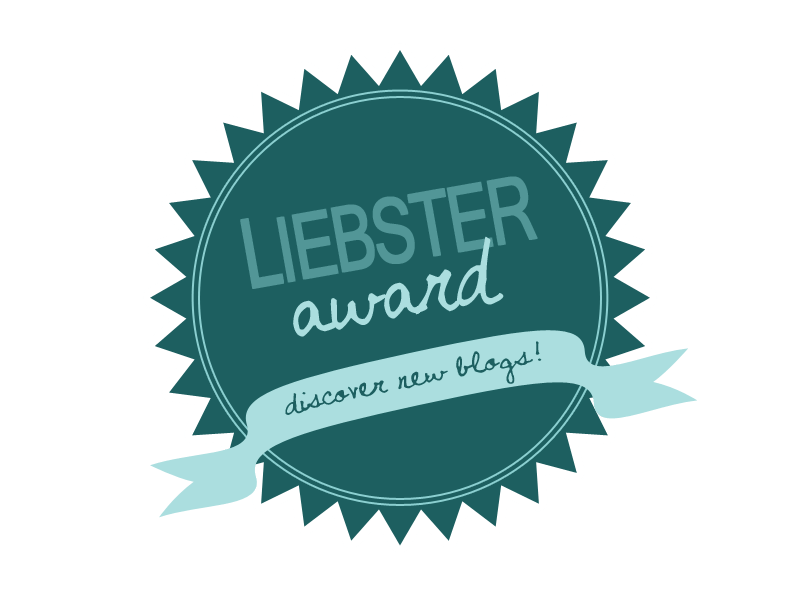 – huge news for its Posion/Bug dual type. Mega Pidgeot’s look remains fairly unchanged with only slight wing color variations and one long feather plume on its head. It’s typing remain Normal/Flying; but receives a boost to Special Attack of all things – which perhaps relates to its more rainbowed aura coloring. It’s ability however requires a lot of change in strategy as it will become No Guard, which makes all attacks on or by the Pokemon land regardless. Even attacks like Protect – which offer protection for one turn – or Fly – which move a turn then attack – will all keep the Pokemon a target. 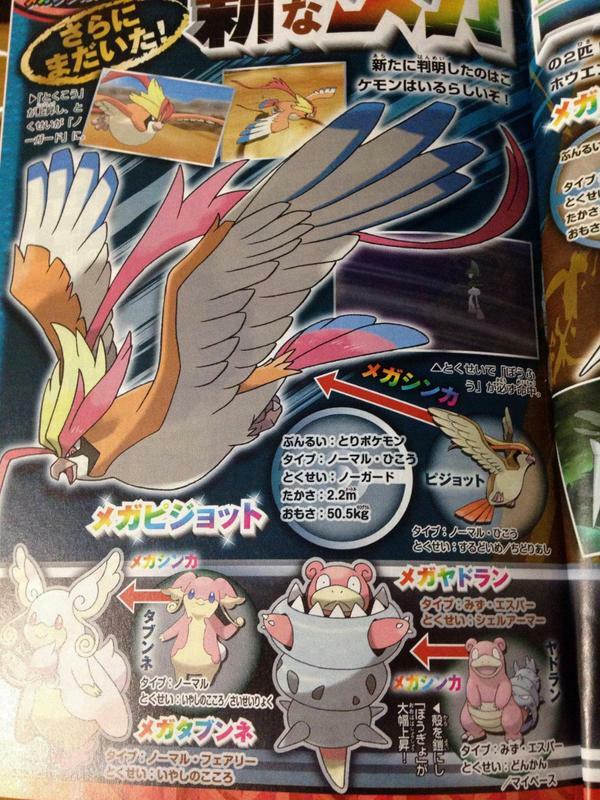 Might take a little getting used to; but it could certainly become a strong powerhouse based upon Pidgeot’s speed. Remember how Pokemon Ruby & Sapphire brought us the short lived mechanic of ‘diving’. Well this time around we’ll be able to explore the skies high above Hoenn; but it can only be accomplished with LatiOs (Omega Ruby) and LatiAs (Alpha Sapphire). Through the use of an Eon Ticket – which will make it’s return – you will be able to received the other Jet Pokemon that isn’t present in your game; but it’s the Eon Flute that really makes things exciting. Through the Eon Flute you can soar the skies and not only find other Pokemon; but returning Legendaries such as Palkia, Dialga, Reshiram, Zekrom and more. In fact, all non-event Legendaries are said to be present in this game. Is it just me, or is Omega Ruby & Alpha Sapphire starting to sound like the PERFECT Pokemon game? What are you most excited about? Sound off in the comments below! I agree with your comment at the end, this game is shaping up to be the best Pokemon game of all time! I can’t wait! i hope the eon flute is in the game and not and event because that be very angry if we cant fly in the sky with latias or latios. 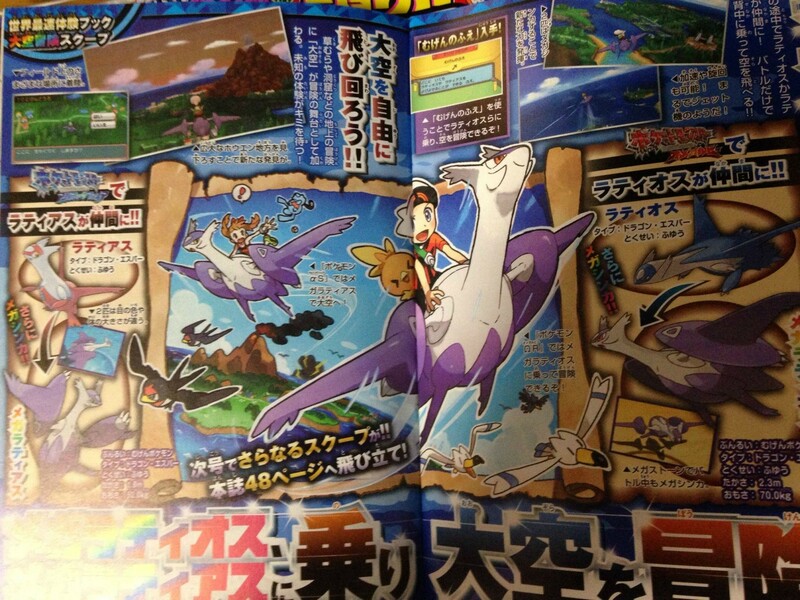 i want to fly on latias and get zekrom. From the looks of it, it seems like this will be an in game event with Steven Stone where you befriend one of the Eon Duo and then can explore and find none-event legendaries.